Did you ever realize one bike uses so many different types? I'd like to see where they all go. I think the batch above has something to do with the chainguard. Maybe they are all going on this bike below. Any questions on vintage schwinns, go ask JIM. 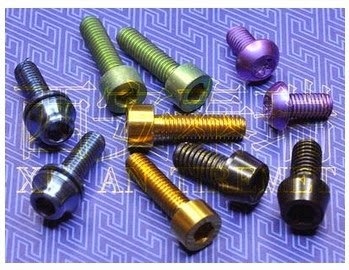 Did you know that you can have fasteners in any color? And cyclists love to bling their bikes with them! 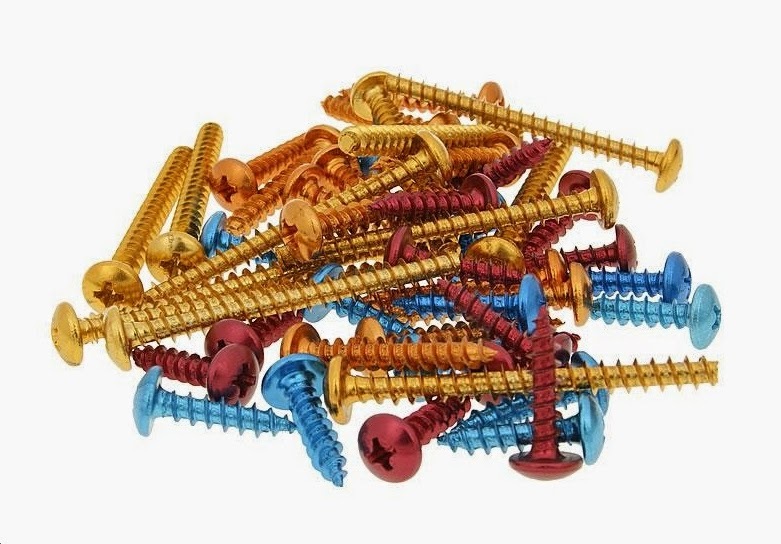 Check out these colorful fasteners used on bicycles. 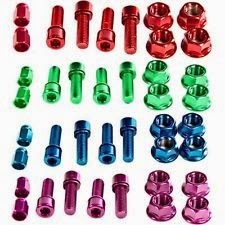 These are for BMX bikes - sold on Ebay. 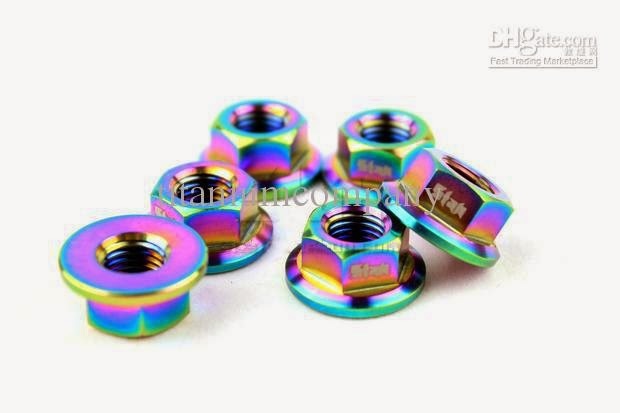 Titanium Fasteners - lightweight for fast competetive cyclists. From Racing Planet: anodized aluminum is a great choice too. 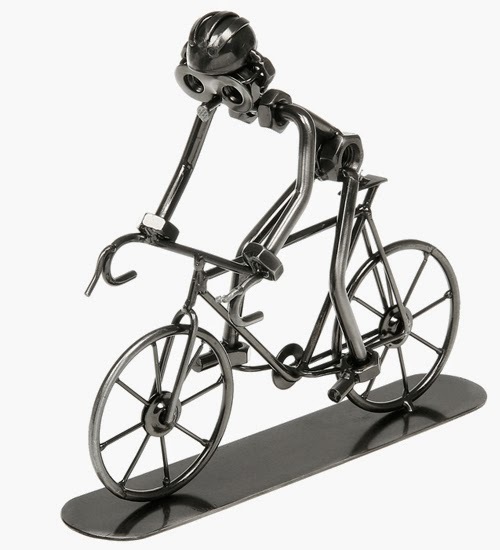 My bike would be covered in these! 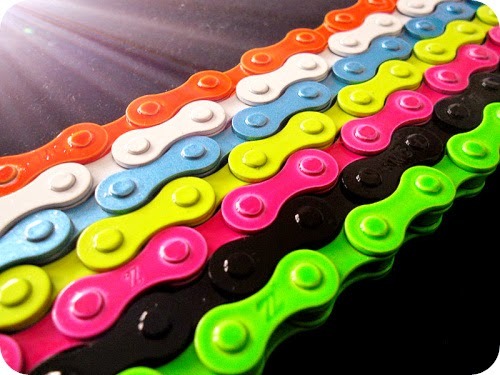 They even make colorful bike chains...but we don't sell them. 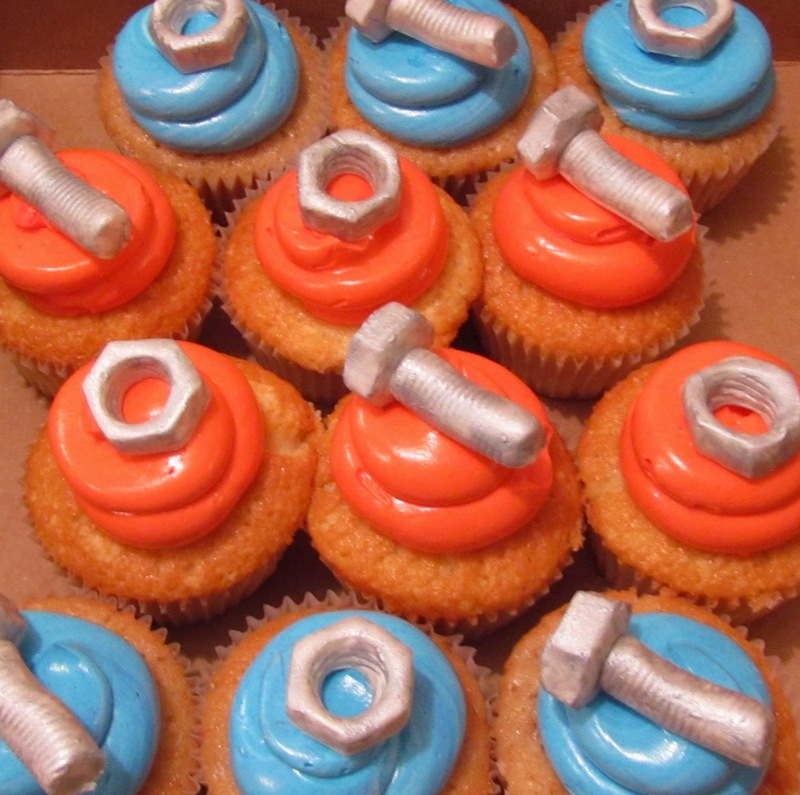 Today marks our 3 year birthday - Nut & Bolt Cakes for Everyone! These cupcakes were found here at the Cocoa Bakery in New Jersey. We launched our first post May 16th back in 2011. If you missed it, be sure to take a look. 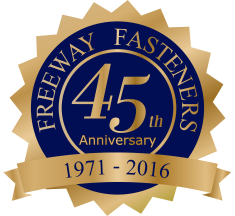 We hope you've had as much Fun with the Fasteners as we have! 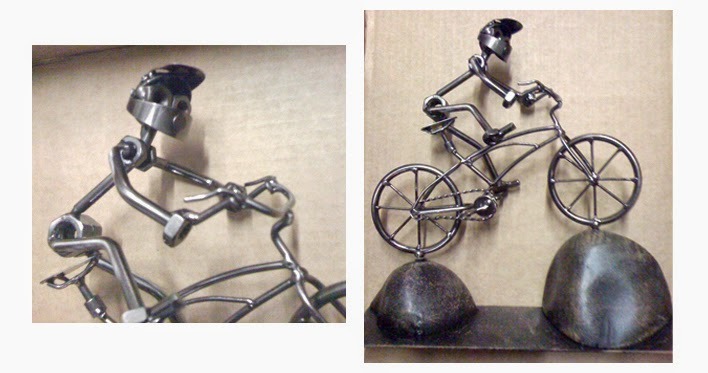 Last week for National Bike Month we posted a mountain biker - this week a street biker! I'd get my friend Robert one but it's out of stock. 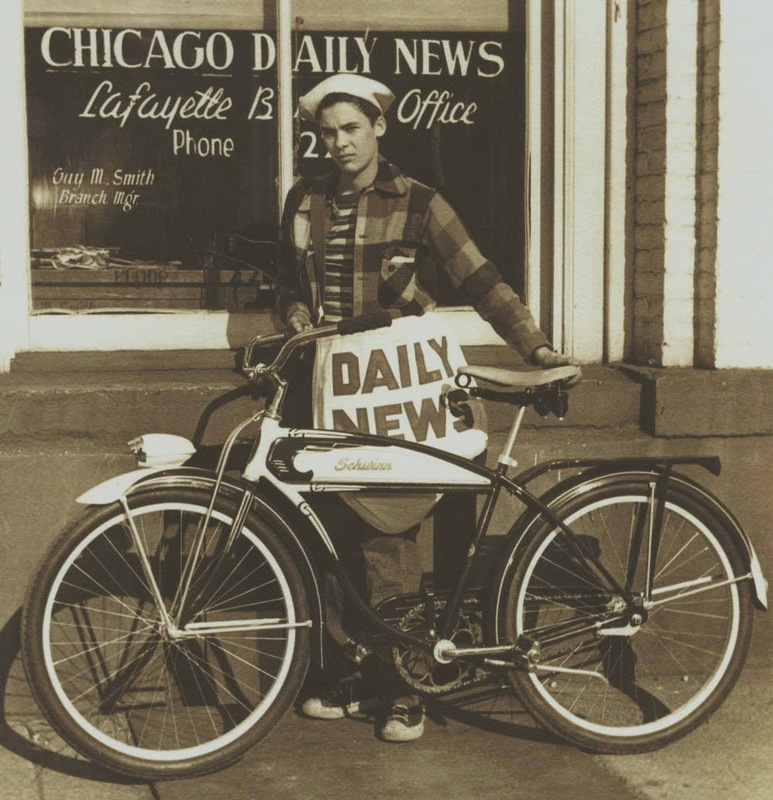 Have any of you biked to work this month? I don't think I could do it. 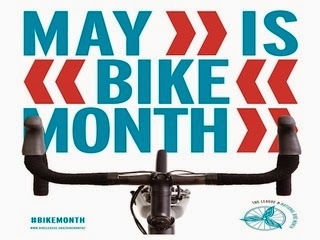 And the weather is beautiful for a bike ride so we made May bike month too. *I'm still impressed how no matter what I think of I can always find a sculpture made out of nuts & bolts somewhere in the world.